The Gateway Pundit has been giving the opportunity to interview Sebastian Gorka. Gorka, as many of you know, was the deputy assistant to President Trump and a counterterrorism expert until his recent resignation. Alongside other Trump-loyalists such as Steve Bannon, was a driving force behind the Trump agenda. 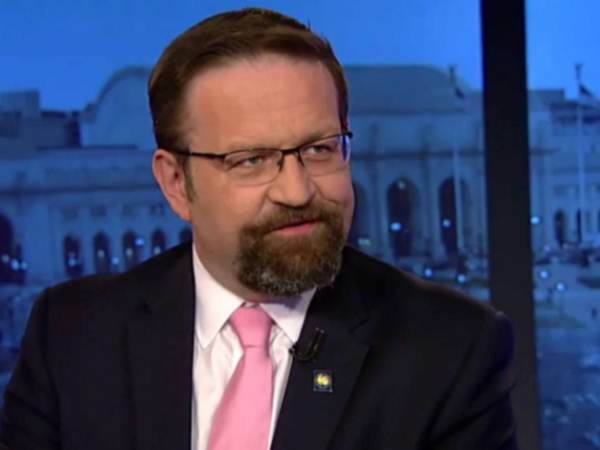 In his resignation letter, published by the Federalist, Gorka declared that “forces that do not support that MAGA promise are — for now — ascendant within the White House.” He, much like Bannon, has stated that he believes he will be able to work more good for the President’s agenda while outside the Administration, then he could while functioning within it. Presently, Gorka has stated that his current plans involve some “collaboration with Steve and the Breitbart team”, although he has not specified what types of collaboration will take place or what his new role outside of the administration will be. Here is where you come in: Are you concerned that members of the Administration are now shying away from discussing Islamic Extremism? Are you curious as to whether Gorka’s departure marks a shift in U.S. counterterrorism tactics? Please write the questions YOU have for Gorka in the comments section below. The best questions will be presented to Gorka; upvoted questions will have a higher probability of being asked.